A sure sign of the booming economy in China, the Chinese are taking foreign vacations, a lot of them! And since 2014 China has been the number one source of tourists to Russia. Indeed, walking around popular places such as Red Square in Moscow or the Hermitage in St. Petersburg, the majority of tour groups are Chinese. 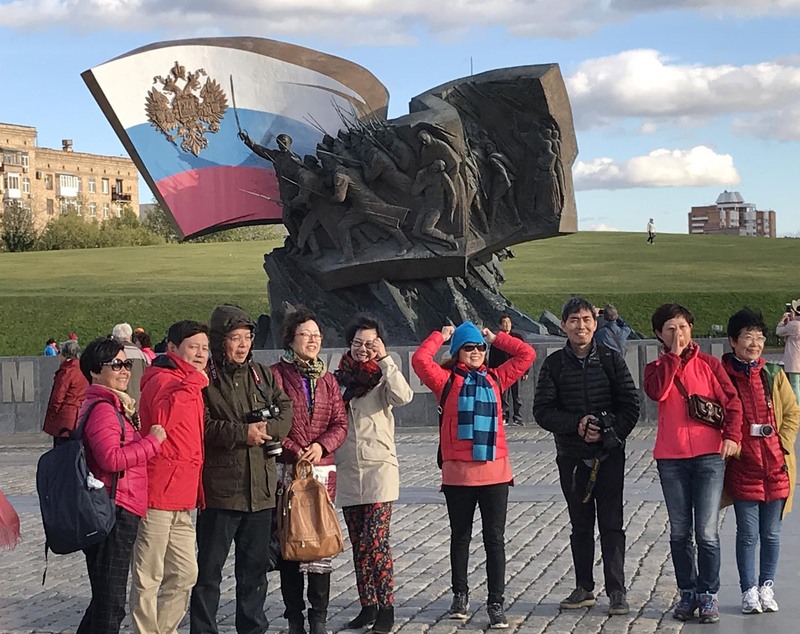 In 2017, almost 1.8 million Chinese citizens traveled to Russia, and of that, 1.1 million people visited as tourists, according to the Russian Association of Tour Operators. Conversely, China was the second-most popular destination for Russian tourists in 2017. The increase reflects a simplification of visa requirements for tour groups visiting Russia and efforts to be more welcoming as evidenced in the 2017 hosting of the FIFA World Cup in 11 Russian cities. Soccer fans were pleasantly surprised at the helpful and friendly atmosphere towards foreigners. Visitors found many signs are in Russian and English, removing the need to read the Russian Cyrillic alphabet. Transportation in the big cities are easy to navigate with an extensive Metro system and modern apps for taxi, Yandex Taxi and Gett, make getting around a cinch. Free wifi is available in many areas, though a cell phone is needed to get a free code for access. Even trains have an app, tutu.ru, for arranging longer trips. 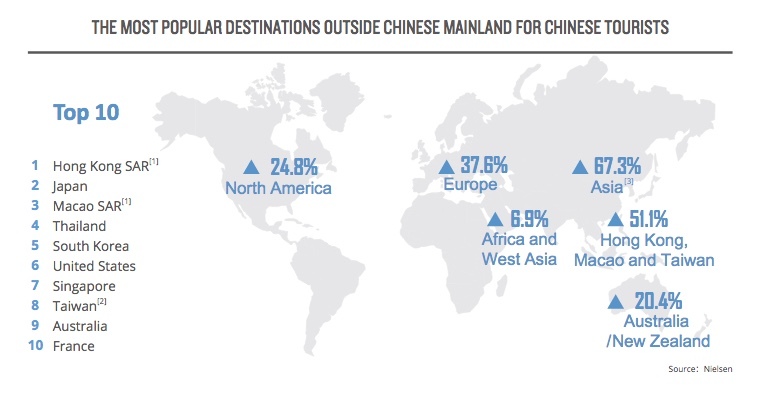 Europe and Russian Federation account for 37.6% of destinations for Chinese tourists. Since the year 2,000 Chinese tourism has increased over 1,000 percent, from 10.5 million to 145 million trips in 2017. The Chinese tourists I met in Russia seemed to have two main interests. One is a curiousity about this country that during the Soviet Union had a very close relationship with China, yet at other times was at odds with China. And even though China and Russia share a long border, they really do not know much about each other. 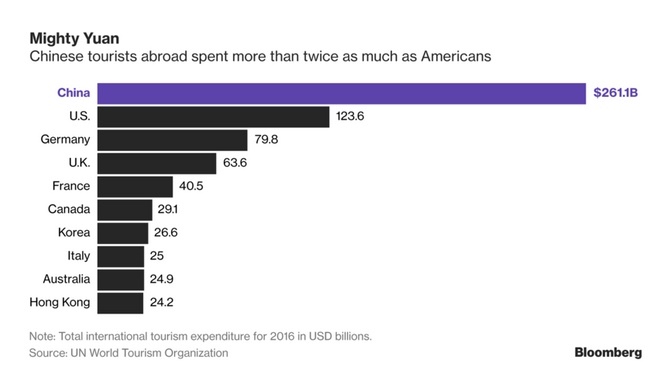 According to Bloomberg, Chinese tourists outspend every other country, even double that of American tourists. The Chinese spent 261 billion dollars abroad in 2016. Less than 10% of Chinese citizens have foreign passports. The expectation for that to grow as China’s economy grows and upside for Chinese tourism is immense. In the first half of 2018 Chinese citizens made over 828,000 trips to to Russia, an increase of 19% over 2017, according to the Border Service of Russian Federal Security Service.